A new bookstore has opened on Third Avenue in Sturgeon Bay! We used to have two bookstores, but they have closed. Now Margaret Magle has opened a new bookstore on Third Avenue downtown. She is, right now, featuring books by Ethel Mortenson and Thomas Davis. We are hoping both tourists and local folks visit the store at 41 N. Third Avenue since we are hoping Margaret succeeds in her new endeavor. 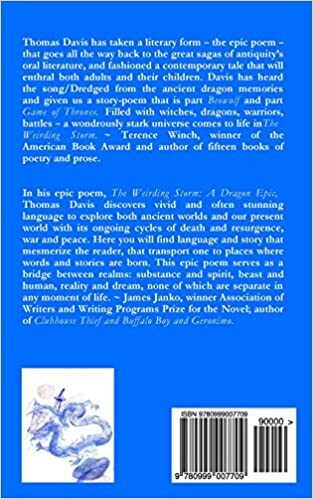 Thomas Davis will be reading from The Weirding Storm at the Aardvark Wine Lounge at 304 S. Pine St. in Green Bay for the Untitled Town Book and Author Festival (https://2018.untitledtown.org/about-the-festival) this Saturday at 5:00 p.m. I am hoping, hoping some of my regional friends will be there! Green Bay Community Theatre 122 N Chestnut Ave, Green Bay, WI 54303. Do you want to become a master of SF and fantasy writing? On Saturday I’ll be selling books at the Book Fair: The 2018 UntitledTown Book Fair will take place from 11 am- 5 pm on Saturday, April 21 and Sunday, April 22, at the Broadway Center (Old Fort Square). The Peninsula Pulse, a publication with a 15,000 circulation, has just posted a review of my book, The Weirding Storm, A Dragon Epic. I am thrilled with Jack Jaeger’s review. The reviews the book has received so far have all been positive. I am so grateful to Bennison Books for publishing it. I was surprised too by the $9.50 price tag, so I am hopeful it’s affordable to an ever-growing audience. 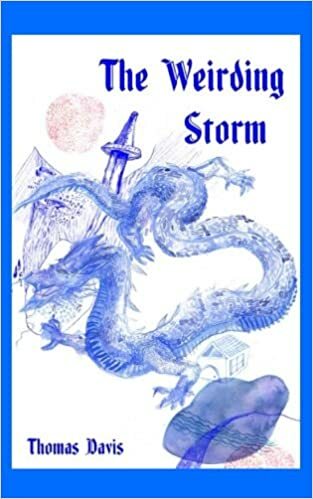 The review is posted online at https://doorcountypulse.com/weirding-storm-dragon-epic-time. The print copy includes the “Invocation to the Dragon Muse”, which follows epic convention and introduces the story. The online version does not, but I am grateful to all of those who have reviewed it so far on amazon.com, barnesandnoble.com, and in other venues.